The Holidays are fast approaching, and like you, we have some passionate water warriors on our list! What are the best gifts of 2018 for water-lovers, you ask? We've saved you some time and compiled a list below of gifts that will not only inspire, but also support water awareness and preservation initiatives. The perfect gift for the water lover on your list, or for the documentary film fan in your life, or maybe you just want to treat yourself! We've got a Holiday deal on Full Festival Passes to the 2019 Water Docs Film Festival just for that. A Water Docs Film Festival Pass will allow you or a loved one access to every screening and special event during our 2019 festival. It’s always a great bargain, but from now until February 15, you’ll save $10 on every single pass purchased. Regularly priced at $40, right now they can be yours for only $30 each! RUN don't walk! Get your discounted full fest passes now! Every single one of you who purchases a discounted Full Festival Pass (see above) between now and midnight on December 25th will automatically receive a copy of the book DRAWDOWN: The Most Comprehensive Plan Ever Proposed to Reverse Global Warming. After December 25th, anyone who purchases a discounted Full Festival Pass up until February 15th will be entered into a weekly draw to win a copy of the book. Purchase a discounted Early Bird Full Festival Pass now to win a copy of DRAWDOWN! The biodegradable, plastic-free phone case that's made in Canada is sure to make a splash with any water-lover concerned with the threats to our oceans posed by plastic. Not only is the Pela phone case itself plastic-free, the packaging it comes in is sans plastic as well. Pela is part of the 1% for the Planet initiative, which means that they will donate 1% of all their profits to select charities as well as $3 from every referral sale. It has often been said that we know more about the moon than we do about our own oceans - but this book is out to prove that wrong. An introduction to the cutting-edge science of paleoceanography, The Oceans begins with the formation of primeval Earth and the earliest appearance of the oceans, vividly describing the major events in the ocean’s evolution―from snowball and greenhouse Earth to the end-Permian mass extinction, the breakup of the Pangaea supercontinent, and the changing climate of today. Along the way, Rohling explores the close interrelationships of the oceans, climate, solid Earth processes, and life, using the context of Earth and ocean history to provide perspective on humankind’s impacts on the health and habitability of our planet―and on what the future may hold for us. This is a MUST read for anyone who loves water and has an interest in protecting it. Give them the bracelet that's cleaning the ocean! 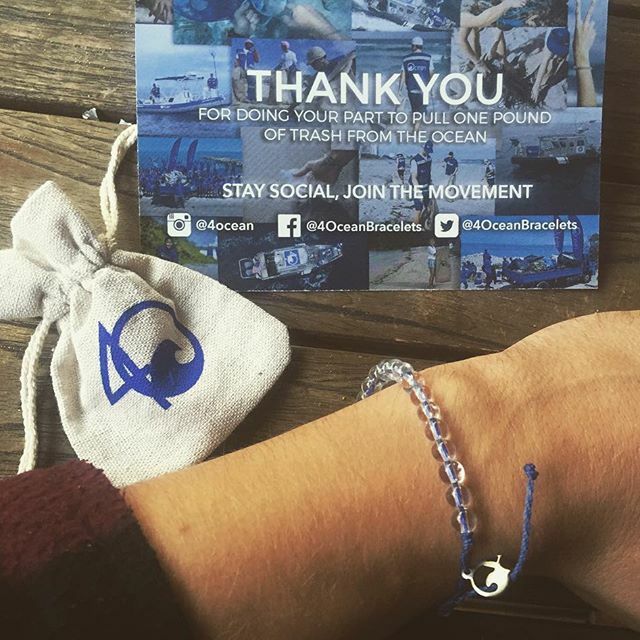 For every bracelet purchased, the team at 4Ocean removes one pound of trash from the water and coastlines. The bracelets are made from post-consumer recycled plastic water bottles and recycled glass bottles. One of our favourite Toronto organizations, A Greener Future - who run litter cleanups along the shorelines of Lake Ontario - have released a beautiful children's book to raise awareness about the detrimental effects our throwaway culture has on the natural environment. Inspired by the real-life story of Nurdle the turtle who was injured by trash left behind by humans, this book is a beautiful way to educate children (and adults!) on the importance of being mindful when it comes to what we consume and throw away. And bonus, you can meet the real-life Nurdle at events A Greener Future attends throughout the city. For those on your list who are concerned about the fact that by 2050 there will be more plastic in our waters than fish, consider gifting them a Zero Waste Kit. This is an easy, convenient way to eliminate those pesky, unnecessary single-use plastic items from your daily life on the go. You can either purchase Zero Waste Starter Kits from A Greener Future or assemble your own using our handy guide here. Give the water-lover in your life the gift of access to amazing documentaries about water issues with a year-long subscription to Netflix! Blue Planet II, Chasing Coral, The Future of Water, Sharkwater, Chasing Ice, Watershed, Ocean Wonders, A Plastic Ocean, Mission Blue, The Blue Planet Series - with more being added on a monthly basis, you can give the gift of cutting-edge water knowledge for just $10/month. From our friends at Waterlution comes Canada's Great Water Adventure, a children's book that inspires learning about water through a fictional story featuring real Canadian waterways and facts. This is a story about curiosity, a desire to learn more, a connection with nature and water, and a deep respect for cultures and traditions. Proceeds from the sale of the book will go directly to school-based programming which will equip youth from an early age with the knowledge and skills to shape water's future. Learn more about the program and the youth leaders who created the book! 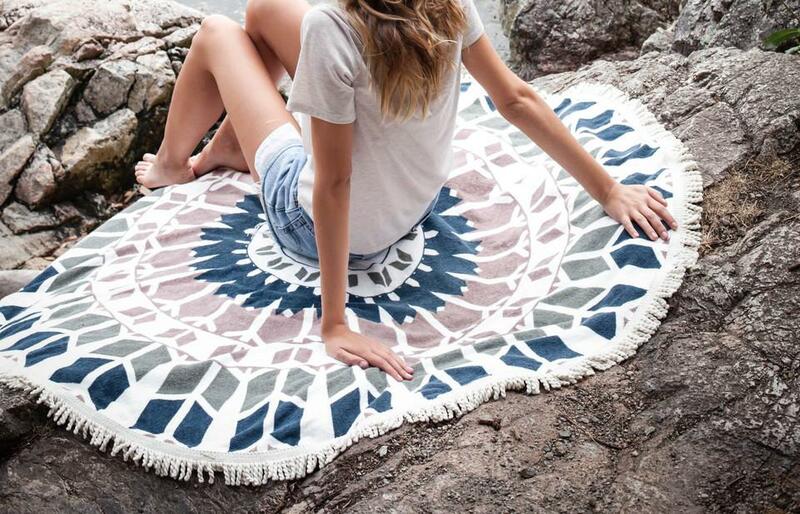 For the beach bum who's already dreaming of summer, the British Columbia-based company Tofino Towel co. make unique round towels that double as throws or wall hangings when not at the beach. The designs are created in collaboration with Canadian artists and %1 of the sales are donated to preserving the picturesque beaches and precious wild life of the west coast. HAPPY HOLIDAYS from the team at Ecologos and the Water Docs Film Festival! Our water education programs dedicated to raising awareness and inspiring action for water would not be possible without your continued support. Please consider making a donation to our End-of-Year-Campaign to allow us to expand our important youth education program Water Docs @ School Action Projects. Contributions from Canadian sources receive a Charitable Tax Receipt. The Ecologos Environmental Organization is a registered Canadian charity #877193821RR0001. This is a guest blog from @itsahashtaglife – blogger, social media manager and content creator non-profits and charities in Toronto. 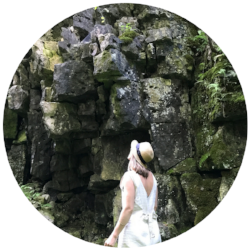 She takes the tools and techniques of traditional digital media marketing and applies them to organizations working hard to shift our world into a new story – one that is more sustainable and supportive of people and the planet.